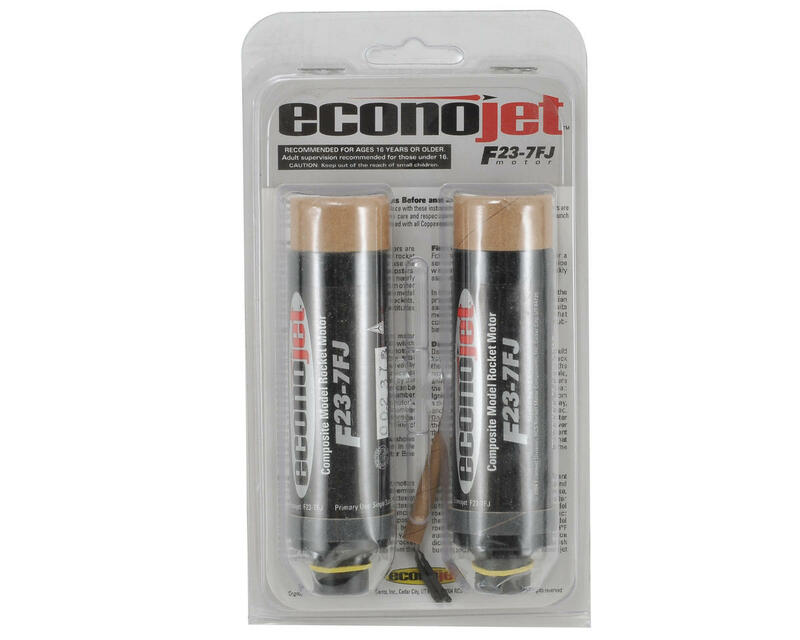 This is a pack of two AeroTech 29mm F23-7FJ SU Econojet Rocket Motors. AeroTech established its position as the leader in hobby rocket motor technology with its single-use composite motors. Hobby rocketry has come to depend on AeroTech single-use motors for sport and competition flying. All AeroTech single-use rocket motors have been certified by the National Association of Rocketry (NAR) or the Tripoli Rocketry Association (TRA). 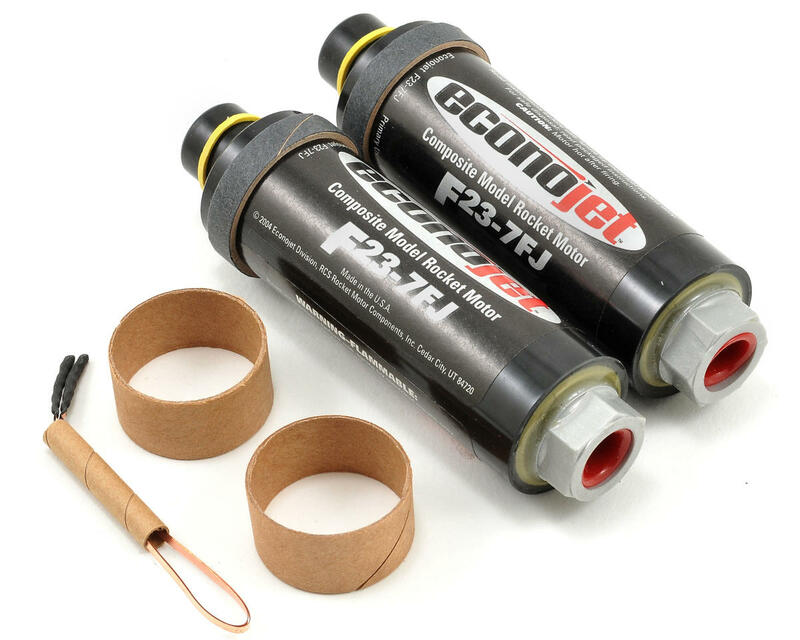 The “Econojet” line of single-use motors combine performance, design and packaging in a line of motors that could be sold at a price point midway between its traditional single-use motors and RMS reload kits. Motor Effects; BlackMax™ (J): Provides the high visibility tracking of dense black exhaust. In addition to a distinctive lift off roar, Black Max provides slightly higher acceleration than White Lightning Propellant.